Founded by Wm. Roger McPherson in 1972, Tengam Engineering has been an important leader in the magnet industry for four decades. During this period of time we have experienced tremendous growth attributable to high-quality products, dedicated service, innovative problem solving and customer satisfaction. We have built a large customer base, affording us the opportunity to become involved in industries such as automotive, medical, security, industrial and specialty motors, and aerospace. The original product engineered by Roger McPherson was a convergence-ring magnet for the television industry that was molded along with a part produced by McPherson Plastics, a family-run plastics business. The process involved a two-step procedure using magnetic sheeting that was die cut, then placed into a molded plastic ring. Roger improved the process and met the challenge of producing an industry first: mixing barium ferrite into a polymer and molding the part in a one-step process. This leading innovation had a strong impact in the marketplace and the magnet industry. Roger was quick to start developing better ways to produce parts using complex materials and innovative molding-process techniques. Tengam was soon a well-known name in the magnet industry. In 1986, Magnequench International introduced a revolutionary powder that would change the way the world used magnets. Tengam was quick to research and develop an injection-moldable compound, and produced the world’s first polymer-bonded neodymium iron boron (NdFeB) magnet. Since then, the “MQ” powder has played a crucial role in Tengam’s continued success. 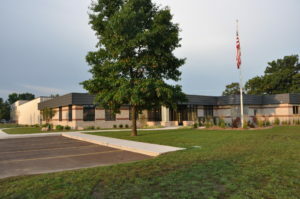 After several years of strong business growth, in 1990 we moved our manufacturing facility to its present location at 545 Washington Street, Otsego Michigan, USA. Since that move, the building has grown from 6000 square feet to 70,000 square feet. A 17,000-square-foot, state-of-the-art manufacturing and office facility was completed in December 2011. Scheduled for completion in January 2018 is a new manufacturing area with 18,000 square feet of injection-molding space, all under bridge cranes, and an additional 12,000 square feet for secondary assembly and magnetization. Tengam Engineering has sold over four billion magnets and consumed millions of pounds of magnetic material. Our company has a strong presence both nationally and internationally as an industry leader, offering innovative solutions to engineering and design problems. We take defined steps to produce the highest quality products expected in today’s marketplace. Our team looks forward to exceeding all of your magnetic needs.